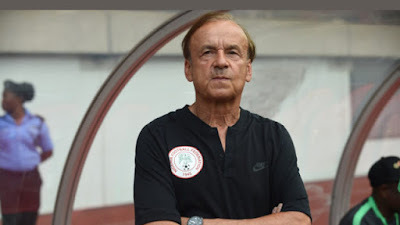 Super Eagles Coach, Gernot Rohr, has said that only wives and children of the players would be allowed into the team’s camp during the World Cup in Russia.He gave the order yesterday while addressing a press conference in Uyo, where he thanked Akwa Ibom state Government and fans for their support and hospitality during World cup qualifiers. According to him, the measures are aimed at avoiding distraction and instill discipline in camp during the World Cup.He, however, noted that although other players may not be able to pay fares for their wives to visit them in camp, the captain, Mikel Obi, who married a Russian woman, would be given the freedom to see his wife after the match. “I will do like other teams, but only families of the players will be allowed to see their husbands. Their children will be allowed also, on Sunday after our first match on Saturday. Families of the players are free to see their husbands, not Russians girls or ‘professional girls’. “Our disciplinary measures have to be stronger while in the camp. Players are not allowed to see other girls, except their family members after the game. They can even eat with us if they so like. Each player has his room, no problem for family members, they are free to come,” he said. Rohr said it was not easy selecting the 25-man team list for the World Cup, adding that he had no pressure from any quarters in the selection.The coach said that his greatest asset were the young players, stressing that they are the future of Nigerian football. The team captain, Mikel Obi, assured Nigerian fans that with discipline and teamwork, the present squad would take the country beyond the round of 16.He said that the coach had brought a lot of discipline and team management into the team, adding that they paid attention to every detail during training. “If we play as a team, we will go beyond the round of 16 to quarterfinal and even play in final. The youthfulness of the players is going to help us in Russia,” Obi said.“I want to be remembered as a player who came into the national team and gave everything that he has. Also, I want to be remembered as the first captain to win the World Cup”.